These Lego Jurassic World money cheats will show you how to collect quick cash by taking advantage of easy money tips in Lego Jurassic World to increase your Studs count in the PS3, PS4, Xbox 360, Xbox One, Wii U, PC, 3DS & PS Vita versions of the action-adventure game. Essentially it’s an unlimited money method. 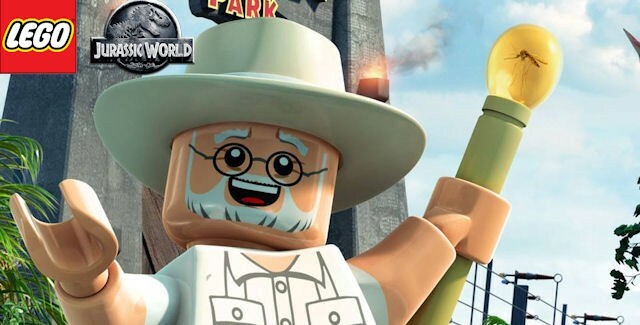 Here we show you how to easily farm money in Lego Jurassic World. Need a little spare change to buy characters and vehicles? Check out these Lego Jurassic World tips that help you multiply your Studs quickly. REQUIREMENTS: You’ll need to find, buy and activate at least 1 out of the 5 “Studs Score Multiplier Red Bricks” to get the needed extra Studs. — The 5 Red Bricks that increase your money (named the “Studs Score Multiplier” Red Bricks) can be found in the open world HUB areas on the islands in the game. All you have to do is complete their Red Brick challenges to unlock them and then go to the Red Brick Station and buy each Red Brick for 1 to 5 million Studs. Or use the cheat we’re about to give you to get the 1st of the 5 Red Bricks for free. Red Brick Station Locations: By playing through the Red Brick challenges in the open world HUB areas, you’ll be able to unlock Red Bricks. Once you grabbed the Red Bricks, you’ll need to buy them for 1, 2, 3, 4 & 5 million Studs (per Red Brick respectively) in the Red Brick Station in The Visitor Center on Isla Nublar. You get there from the islands map on the top-left side of the left island (Isla Nublar). It’s located in the grey museum building (The Visitor Center). The Red Brick Station’s screen is right by the building’s entrance. Stand in front of it to buy the “Studs Score Multiplier” Red Bricks, then activate the Red Brick cheat(s) in the pause menu’s cheat section. Cheat Code Unlock: While you’re playing, pause the game. You can enter codes from the Main Menu by selecting “Extras” and then “Enter Code” using this cheat: 5MZ73E. Whether you buy the “Studs Score Multiplier x2? Red Brick or use the cheat, either way it will unlock new in-game money cheats, that you can then activate via the game’s pause menu. STEP 1: Use our “Lego Jurassic World Red Bricks Locations Guide” to find all 5 “Studs Score Multiplier” Red Bricks. STEP 2: After you’ve bought the first score multiplier Red Brick, they will become increasingly expensive (they cost 1, 2, 3, 4 to 5 million Studs). So after you buy the first “Studs x2” Red Brick you should activate it right away as you play through the Story Levels and open world HUB areas shown in our Lego Jurassic World Walkthrough that contain the Red Brick locations you need to find (to then unlock the money cheats)… And if you have enough money at this point (after finishing the game) you should be able to buy all 5 of these “Studs Score Multiplier” Red Bricks and activate each cheat after you buy it (as described above). A) Replaying Bonus Levels through the open world HUB. Since they are short levels where you mostly are running after humans while collecting loads of studs. Bonus Level Example: The Jurassic World’s “Indominus Rex Pursuit” Bonus Level can be replayed infinite times in Free Play and every single time you’ll grab up to 50,000 studs per 2 minute-long replay without stud multipliers turned on. But with all 5 stud multipliers turned on this means you get to farm 192,000,000 studs each time you play it!! B) Smashing stuff (like boxes) into Studs as you walk through the environments. This is like farming Studs, because if you keep traveling back and forth between the Park’s areas, then the boxes and other Studs-filled objects/items will re-appear in each area! So you can keep smashing them for more Studs! You can of course also replay levels in Free Play, since once all 5 these Red Bricks are turned on you’ll always speed up your Stud collecting to 3,840 times as fast. Story Level Example: Have Dr. Alan Grant put the dino skeletons together in the second half of “Level 1: Prologue” gives you a ton of silver and gold Studs each time. Credits for the discovery go to TT Games, Jojopet, Packattack, ShockblastMedia’s Jay & Joe.